727 arch salute from Engine 61. 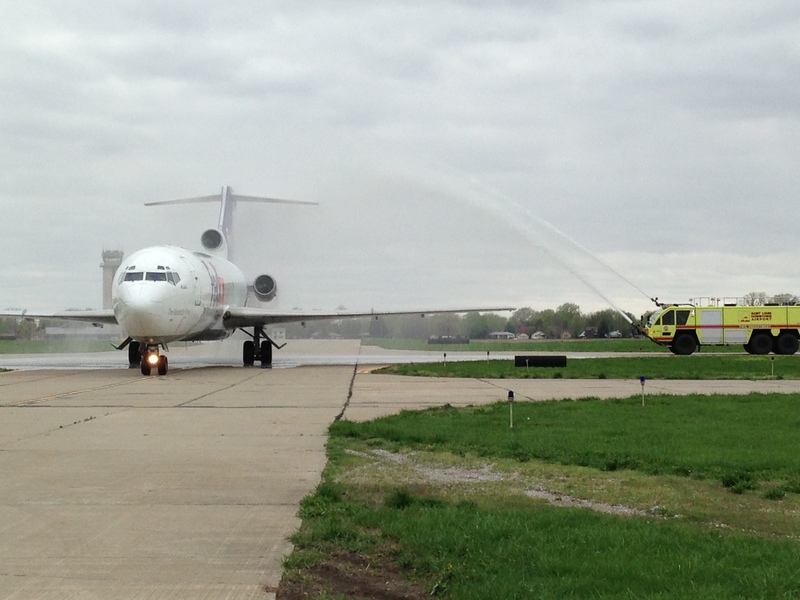 Today (April 19) was a very special day for St. Louis Downtown Airport and the region in terms of safety, emergency response preparedness, training and aviation education. 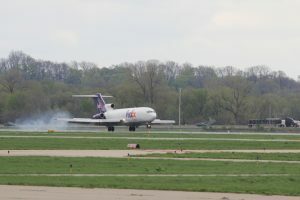 This morning, following its last flight, the Boeing 727-200F aircraft operated for 20 years by FedEx Express, a subsidiary of FedEx Corporation, was donated to St. Louis Downtown Airport in Cahokia, Illinois which is less than three miles from the Gateway Arch. 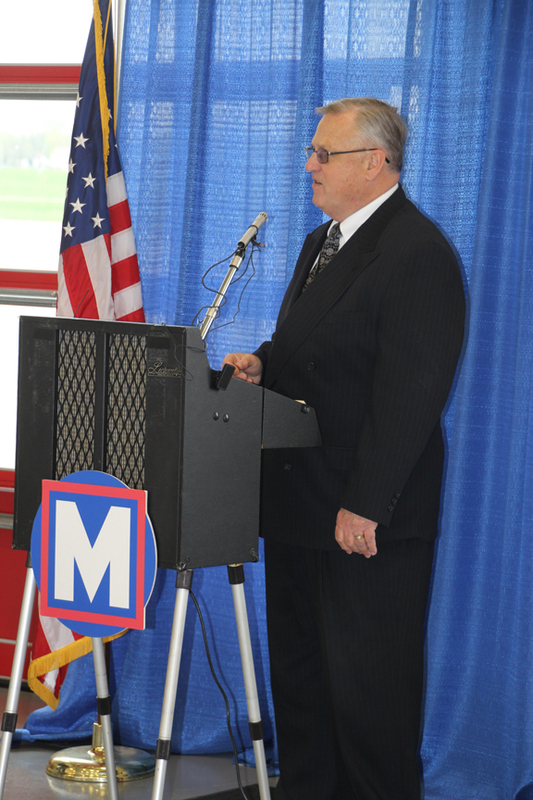 St. Louis Downtown Airport Director Bob McDaniel was the master of ceremonies at the special event. Speakers included John M. Nations, Michael Mavrogeorge, Dr. Susan Shea, and Beth Rush. 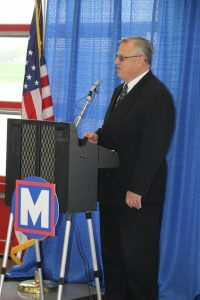 Nations is the President and CEO of Bi-State Development Agency/Metro (BSDA/Metro) which owns and operates the airport. Mavrogeorge is the Airport Fire Chief and Emergency Management Director. Shea is the Director of the Illinois Department of Transportation (IDOT) Division of Aeronautics. Rush works for FedEx Express as Advisor, Aircraft Acquisitions & Sales. Airport staff and tenants, Jet Aviation employees, area firefighters and others from Bi-State Development Agency/Metro and the community gathered at the Airport Fire Station to celebrate this generous donation of the 727 aircraft and watched as the plane was welcomed with a traditional water arch salute from the airport’s Fire Engine 61. Click here to watch video of the 727 landing at the St. Louis Downtown Airport from its final flight. Those in attendance were able to walk around inside the massive aircraft which will undergo a significant transformation. 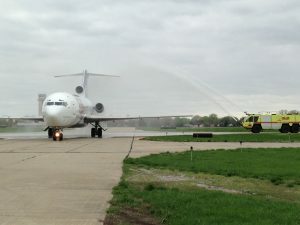 The aircraft will be repurposed for use by the St. Louis Downtown Airport Fire Department to provide real-world training opportunities for area firefighters and other emergency response force personnel, while also serving as a classroom and a ground trainer for future pilots and aircraft maintenance technicians. 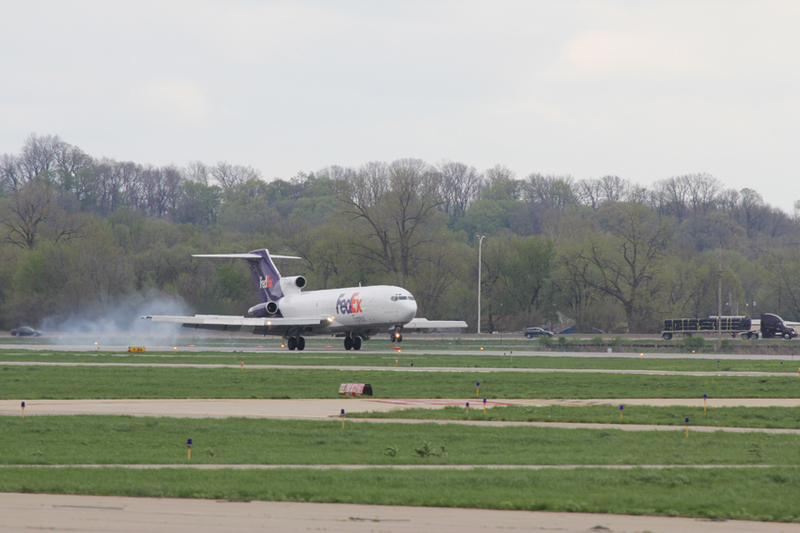 Jet Aviation, which has a history of doing maintenance and repair work for the FedEx corporate fleet at its facilities at St. Louis Downtown Airport, will assist in preparing the aircraft for its new mission. St. Louis Downtown Airport Director Bob McDaniel welcomed everyone to today’s ceremony and served as the emcee for today’s event. The cockpit will remain intact, just as it is when the pilots stepped out of it this morning, however, changes will be made throughout the rest of the aircraft. The front half of the fuselage will be configured as a standard passenger airliner, complete with a pull-down screen and overhead projector for use in classroom-style presentations to tour groups visiting the airport and the Greater St. Louis Air and Space Museum, and to youth learning about aviation from Experimental Aircraft Association (EAA) Chapter 64 members as part of the Young Eagles program. 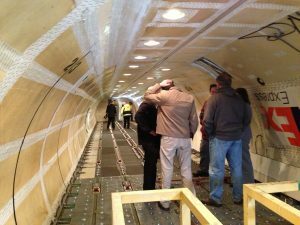 The rear half of the fuselage will be outfitted to contain a maze of hanging hoses, wires, and other obstructions with cargo containers, boxes, and jumbled seats. During training sessions, non-toxic smoke generators will fill the aircraft with smoke as if the aircraft had made a crash landing. Area firefighters will be able to put on their gear and enter the aircraft to search for survivors and complete a myriad of real-world training scenarios. 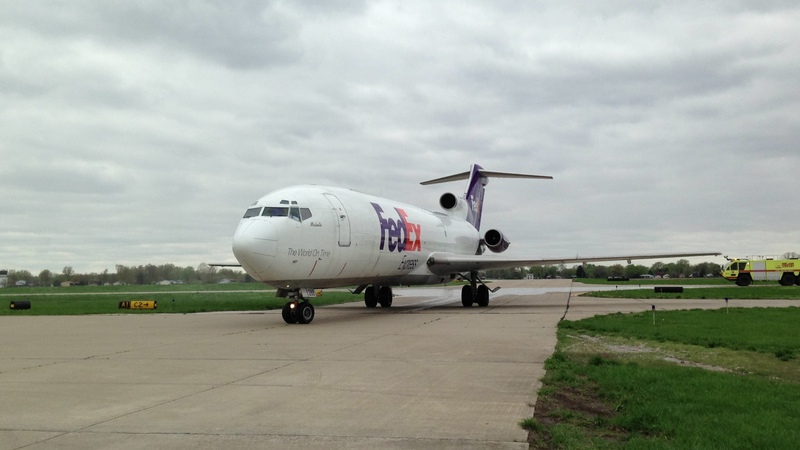 Upon completion of the work, the Boeing 727 will be the centerpiece of a new training site to be located on the northwest side of the airport between Vector Drive and the railroad tracks. In addition to the 727, the site will include smaller general aviation aircraft and other hands-on training aids. The Bi-State Development Agency/Metro purchased the airport at the urging of regional leaders in 1964, and reopened it in 1965. St. Louis Downtown Airport is one of the agency’s business enterprises and is operated with no local taxpayer support. The businesses located on the airport generate a regional impact of nearly $584 million a year.